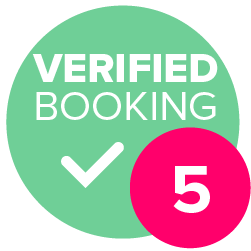 Our hourly rate is on a sliding scale, making longer bookings more affordable. 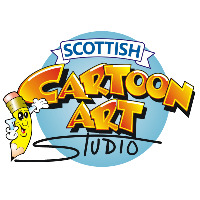 Scotland's first and leading team of professional caricaturists. Couldn't recommend you enough. Thank you so much for adding to our day. Chris was fantastic. He was on time and very friendly. 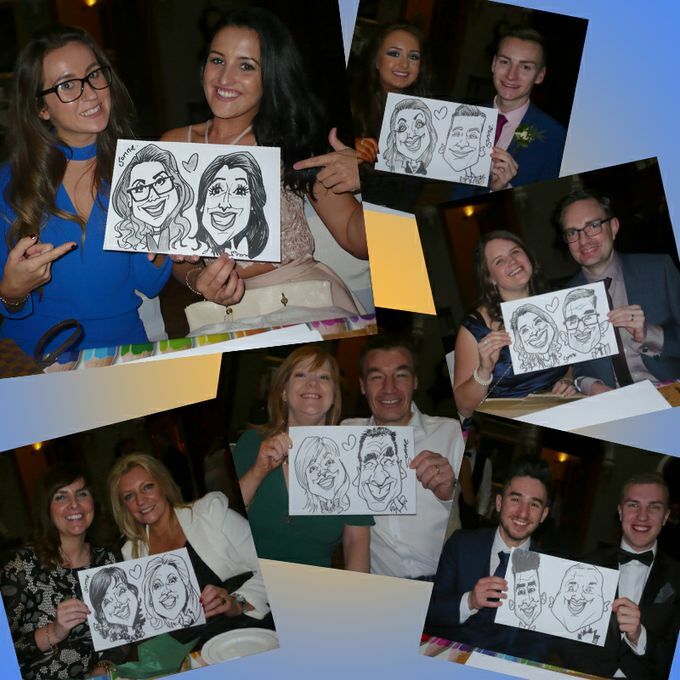 The party-goers loved the caricatures and wished we had hired him for longer! 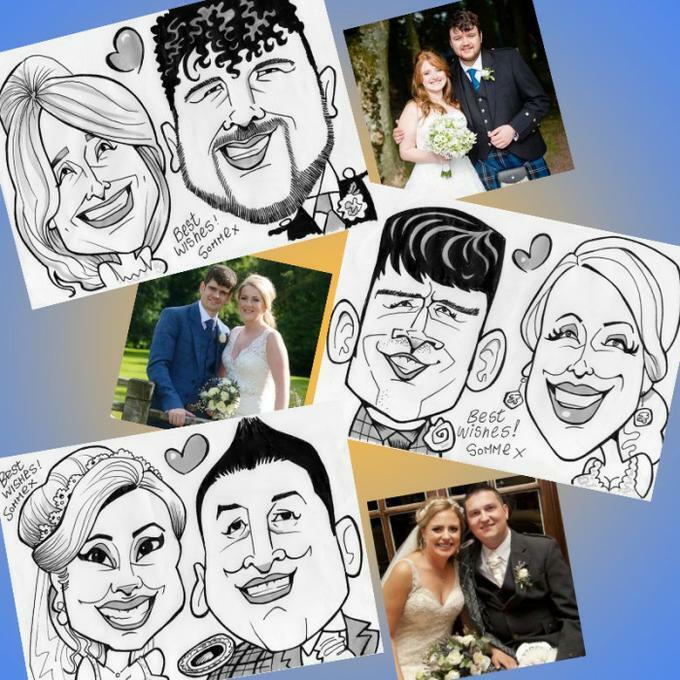 Yes, we're more than happy to draw couples, best friends or siblings in one caricature. However please note large groups of people generally cannot be drawn together. We provide all our own materials. At your venue we need a well-lit area in which to work, at least two chairs and one table. If the latter is unavailable we can bring easels. Digital caricature requires access to mains power and wifi. Artwork for invitations, place settings, favours etc. can be produced in advance. Also large painted canvases for display at your venue and suitable for the signatures and well-wishes of guests. Giv us your specifications for an exact quote. Live caricature, either traditional (pen & ink) or digital (iPad & printing on request). 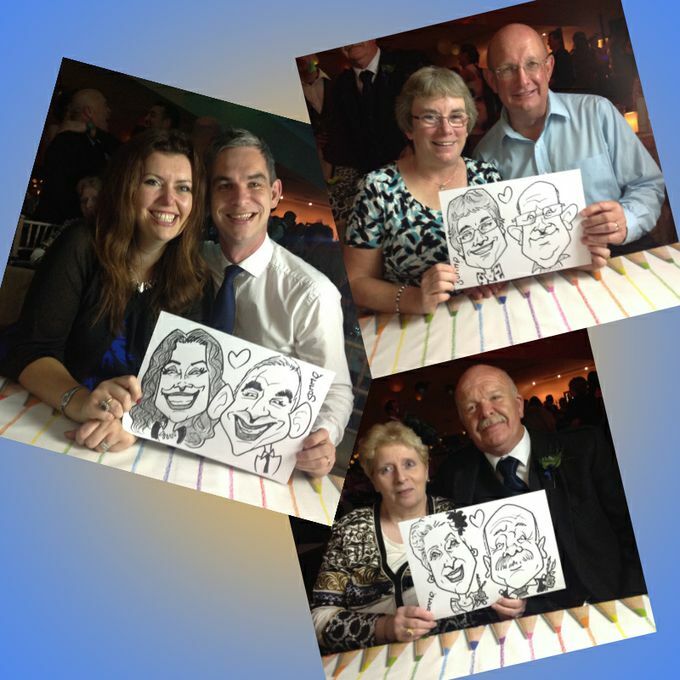 We're a team of caricaturists and so can send multiple artists to cover large events (subject to availability). Minimum two hours, maximum eight. Live caricature, either traditional (pen & ink) or digital (iPad & printing on request). 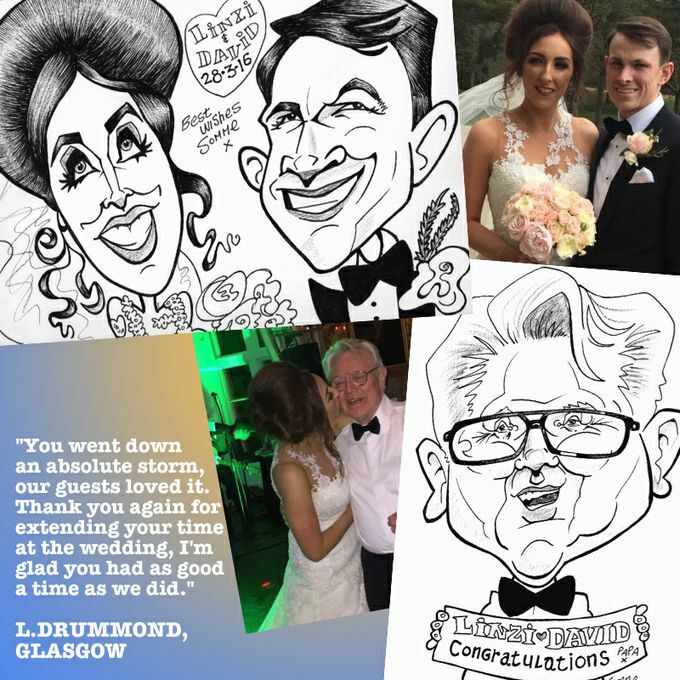 Traditional caricaturist can roam but more drawings are always produced when guests come to them.